Hello Wishtrenders! 29th Wish Try Love is here! Today, we will introduce you to Korean Celebrity “Go Hyun-Jung,” who has baby skin like she is in her 20’s, but actually she is in her 50’s. Her secret is this 1 Korean ingredient, this ingredient helps with skin’s elasticity and helps with anti-aging also! 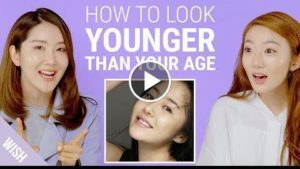 Check now if you are curious to know the secret of how this Korean celebrity looks younger than her age!